than the value of two separate products. As film students, of course you do not have to worry about mathematics, but you do need to understand the importance of synergy for the industry and to be able to identify and discuss examples. 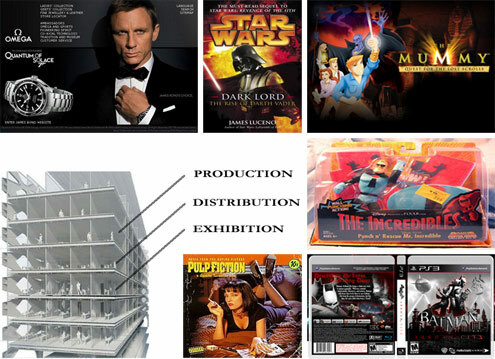 Companies pay to feature their product in a film, which often leads to a deal in which the film’s protagonist or other characters are featured in their advertising campaigns. Promotional Partnerships, where the film or its characters will feature on existing products. This may be in the form of competitions. Products based on the original, i.e. the Film. A film may be a spin-off of a television series, or a television series may be created as a spin-off of a film. We can also think of this as media convergence.